Large expressionist abstract painting, signed “Kazann 55”. 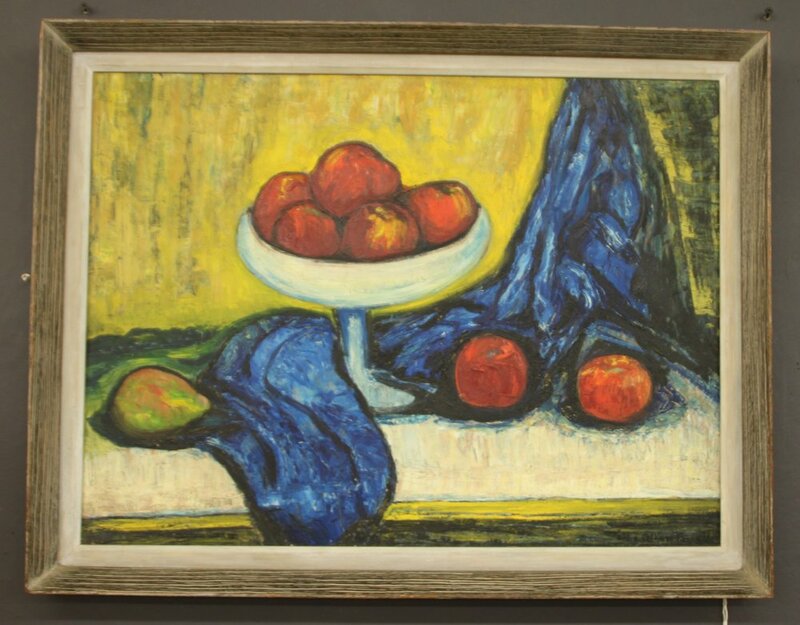 A colorful modernist still life in original frame. Signed “Abba C. Fernald”. 26 1/4” x 20 1/2”. Contemporary abstract painting signed by Milagros Pongo. "Sidelong" by Peter Poscas III. Oil, mounted in black frame. "Eclipse II" contemporary abstract painting. Oil on canvas, unframed. Gray and Ochre contemporary abstract painting. Oil on canvas, unframed. Large mixed media work by Belgian artist Guy Scohy, newly framed under glass. Paintings on paper by Belgian artist, Guy Scohy. Newly framed under glass. 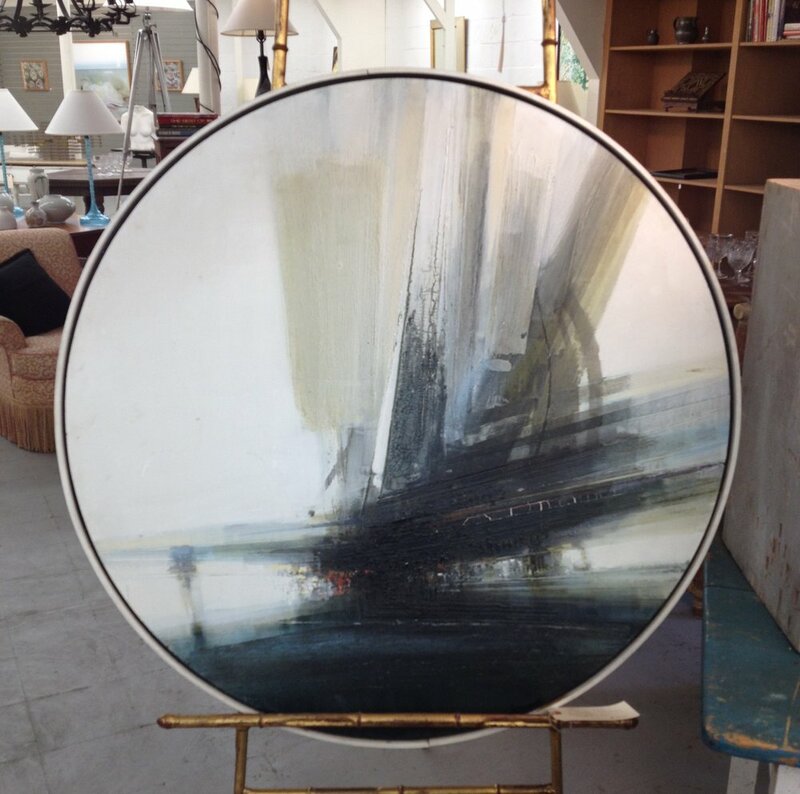 Painting titled "Aircraft Tondo", oil on board, signed and dated, Donald Stoltenberg, 1966.